If you’re feeling a strain on internal resources, are pressed for time, or you're not getting the growth from sales that your business needs, making the decision to outsource your sales team can provide an immediate solution and get your projects off the ground faster. We’ve put together a list of common outsourcing misconceptions and challenged them with solutions, to help you make the best call for your business. Outsourcing is expensive. It’ll cost me more to outsource than it would to hire my own team. While outsourcing may appear more expensive, the flexibility it provides you will allow you to scale your sales effort much more efficiently. You can’t hire a quarter of an FTE, but you can use outsourced sales to fulfil the exact amount of sales resource that you require to achieve your business revenue targets. In larger markets like the US, over 300,000 roles are outsourced annually due to flexibility and speed to market (if you hire, it generally takes three months to get reps up to full speed). Making the call to outsourcing sales teams is becoming a more and more common practice in New Zealand, and outsourcing locally as opposed to offshore is a becoming a noticeable trend. Companies want to access the best of the New Zealand market, and find the right talent for the right price. Outsourcing grants the flexibility to choose who works for you and for which specific projects. If you take into account full-time employee benefits (such as KiwiSaver), hardware (such as laptops), and annual leave as well as other hidden employment costs, outsourcing can, in fact, be more cost efficient. A recent company we worked with initially told us that they could get a sales team together for much less based on the salaries he paid. We were then able to outline the other ‘hidden’ costs associated with a sales team including training, leadership, operation overheads, ACC and KiwiSaver. Based on a salary of $80,000, the actual cost of onboarding in the first year worked out to $132,285 - not to mention that after all that they may not reach or outperform their targets. A good outsourced sales partner should pretty much pay for itself once you’re up and running in that they’ll work hard for your business and deliver new customers and prospects at a consistent pace, as well as providing you with robust insights to further shape products and services to what the market needs. If I outsource my sales team, I’ll experience less control and a loss of quality. To be in sales, you've got to be personable and great at conveying your product or services value in a sales interaction. It's natural to want to know that your potential customers are getting the best possible experience. However - when you outsource sales work, your outsourced sales partner shares the common and dedicated goal of delivering a great experience to a client. The right outsourced team works as an extension of your business and is incentivised to work harder - they know what side their bread is buttered on and they're driven to strict KPIs for each client. In sales, everything is measurable. When you outsource, you want to feel confident that your outsource team act as an extension of your brand. Time spent with your outsourced team to entrench the essence of a brand and it’s values is a critical part of the onboarding process. If you invest the time during onboarding, you'll feel confident your company is being represented as you envisioned. Processes are also important when ensuring the quality of your contractors' work. Having a tried and tested system in place to review any outsourced work can quickly offset any short term loss of quality. I can’t see a clear way to leverage an outsourced sales team and ensure success. 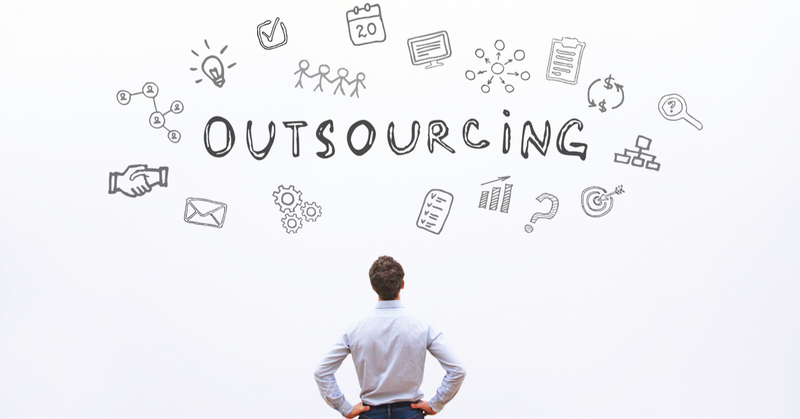 With all of the stigma around sales outsourcing, sometimes it can be difficult to see a clear strategy on how to leverage outsourcing. When you outsource, you scale specific parts of your business quickly and experience faster business growth. For many of our customers, we've been able to test and trial new products in new markets at pace and use insights to help shape and refine them. Through leveraging your outsourced team effectively, you’ll be able to both promise more, deliver more, and nurture the leads you’ve generated effectively. You get to leap-frog the development training costs of insourcing a team. When you select your outsourced talent, it can be with a focus on selecting the right person with the perfect skills and knowledge for a job. There’s less of a requirement of a culture-fit, investment in development and on-going training. You’ve got a ready-made salesperson focused on delivering results. If you're interested in finding out the actual cost of hiring a sales person, we've put together a calculator to do the work for you. Find out the hidden costs in under a minute.